Our original salsa has a rich full body experience, flavors are complementary and balanced. With a surprisingly pleasing kick of spice at the end. 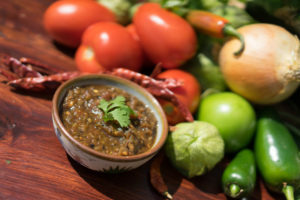 This tomatillo based salsa is zesty fresh, smooth mouth watering with an unexpected smoky flavor and gentle heat that rises from the back of your palate. This spicy blend has a richness and a kick! Our Smokin' Good Salsa has a beautiful, organic color and thickness that people love to see. Our innovative flavors are complementary and balanced. All of our handcrafted salsas are made with all fresh ingredients, no preservatives, gluten free, and are vegan! Authentic flame grill- no added flavors! Our salsas are authentic, savory and wholesome. WHat you see is what you get! There are no added flavors, just rich smokiness that comes from an open flame. Just try it! Do you like our flavor? 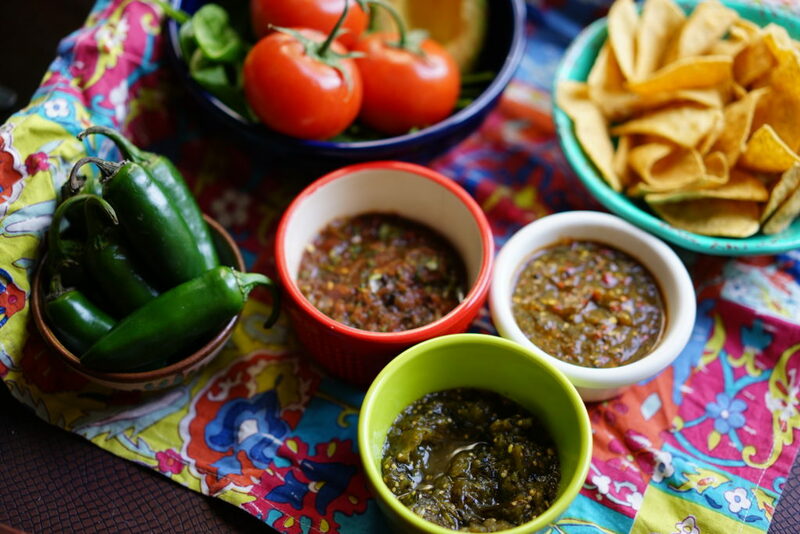 Help bring these tasty salsas to a market near you!